American Tank Company's construction site office/trailer holding tanks are one piece and molded from tough linear polyethylene (poly) for maximum strength. With no joints or seams to leak or cause problems, they will not rust, chip, peel or corrode and they have a unique ribbed design that gives the tank added strength. 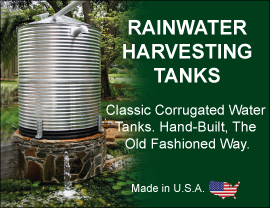 These holding tanks are a quick, economical way to add holding capacity for gray water and septic waste in portable situations. The low profile design permits these tanks to slide under trailers or decks usually leaving several of the seven, three-inch fittings, with removable plugs, exposed for pumping. Tanks may be hooked in a series to increase the volume to the capacity needed. A removable inspection port is also included. These holding tanks are available for above ground use and the 350-gallon model is also available by special order for below ground use. Call toll free today: 1-800-655-9100 to speak to one of our friendly and knowledgeable Job Shack Septic Tank Specialists.